Has your illness taken over too much of your life? Do you spend hours trying to track down the cause, Googling up remedies? Do you get diverted to symptoms and causes, and perhaps end up fearful you might have ‘insert disease label’ with its dire meaning and consequences? It’s easy to allow yourself to get overwhelmed by your illness, and sucked into fear. Fear puts you on our guard; your muscles tense up, and if you continue to be immersed in thoughts about your illness, you end up feeding the state you’re in. 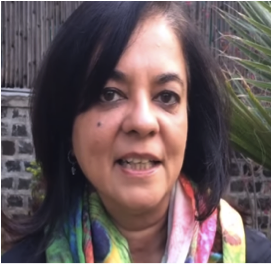 In her 8 minute video Anita Moorjani shares a very different approach to illness, based on the premise that you are not your illness.